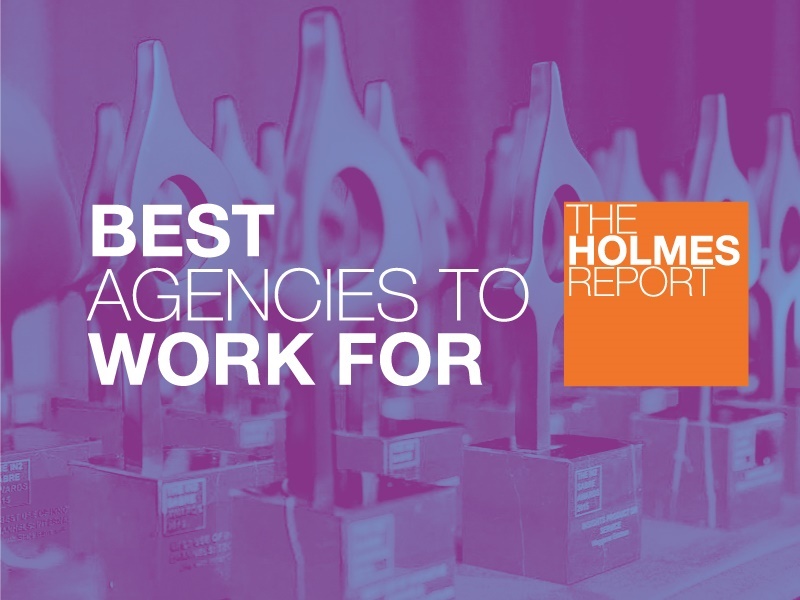 The Holmes Report has opened its Best Agencies to Work For research in North America and EMEA for 2018. Based on the research, we'll present the top five agencies to work for in various categories this spring and the top-ranked agencies will be recognized in May at the SABRE Awards ceremonies North America and EMEA. The survey — which requires a minimum of 100 employee participants or 51% for smaller agencies — solicits employee views on a wide range of issues ranging from the integrity of senior management to the quality of professional development, from empowerment and risk-taking to compensation. - Knowing how your agency compares to the industry as a whole, and agencies of a similar size, when it comes to the key factors that drive employee engagement. - Possible recognition of being a great place to work that can be used to make recruiting and retention of top talent easier. - The ability to obtain a specific report, scorecard and/or dataset for your agency. The survey used for Best Agency to Work For is a comprehensive and state-of-the-art questionnaire on employee engagement and its drivers. The Holmes Report has contracted with Rockland Dutton Research & Consulting to run Best Agency to Work For. This new firm includes David Rockland who retired last year from leading Ketchum's research and analytics practice, and Sarah Dutton, the former head of surveys and polls for CBSNews who also ran the CBS/NYTimes poll. All agency data is kept confidential by virtue of encrypting the data files.